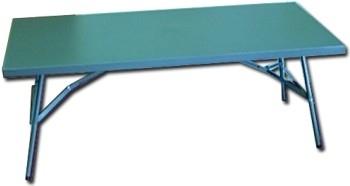 Boss Plastics offers steel folding tables which are extremely versatile and make it easy to store and transport. 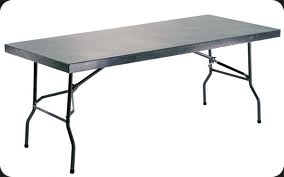 Steel folding tables are mainly used for catering and big weddings as they can withstand heated pots and dishes and are easy to keep clean and maintain. They can be used for weddings, functions, events or even a braai or picnic. We manufacture rectangular steel folding tables and tablecloths in either black or white. Boss Plastics manufactures and supplies Steel Folding Tables in Durban, Johannesburg, East London, Cape Town, Bloemfontein, Port Elizabeth and throughout Africa.